Perfect for a romantic retreat, Lovers Getaway is a two bedroom cabin with an incredible location in Pigeon Forge. Couples can walk to the Trolley Stop at Teaster Lane, making it easy to see everything the Smoky Mountain area has to offer without spending a cent on gas. After a fun day out in town, guests can return to the cabin for a night of cuddling around the outdoor firepit and maybe even a dip in the bubbling hot tub. Couples celebrating a honeymoon or an anniversary will love this one bedroom cabin located less than five miles from the heart of Pigeon Forge. At Wild Turkey offers guests the privacy they are looking for and gorgeous mountain views. In addition to a romantic outdoor firepit, the cabin also comes with a porch swing, picnic table, Jacuzzi tub, and a full kitchen. If you pay the pet registration fee, you can even bring your dog with you on vacation! A Romantic Safari is ideal for both couples getaways and family vacations with up to six people. In addition to a luxurious master bedroom with a king bed, this cabin also features a sofa bed and a fantastic loft with a queen bed. Whether you are seeking romance or family fun, you will love this cabin’s amazing location minutes away from the Parkway and all of the famous attractions and shows in Pigeon Forge. 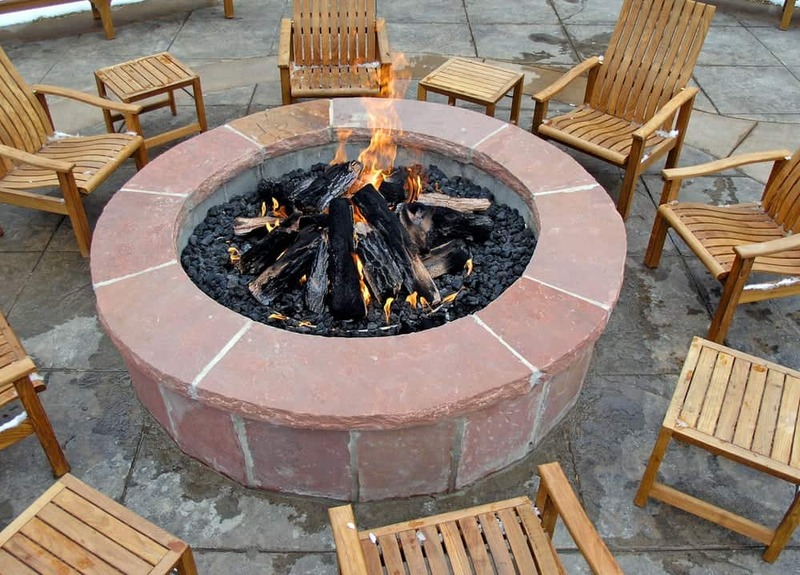 Be sure to keep at least one vacation night free for an evening of conversation and warmth around the outdoor firepit. Follow the link to see all of our Gatlinburg and Pigeon Forge cabins with firepits!